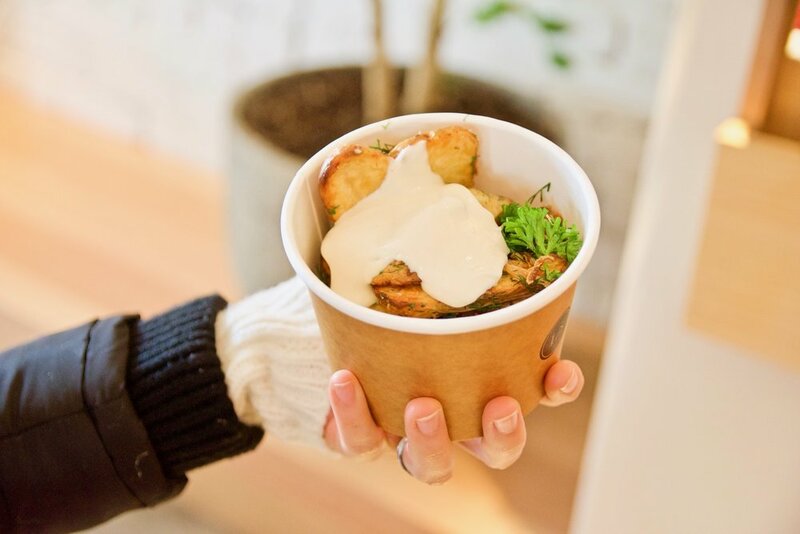 Laneway Greens delivers fast yet wholesome food without a single sacrifice to flavour. It’s the sort of food you enjoy eating and leave feeling good about. The brainchild of brother Luke and Adrian Cala, the eatery serves a vibrant range of salads and a concise but enticing drinks selection including smoothies, kombucha and natural wines. We loved visiting their second venue in Swan Street, Richmond to sample the new winter menu. 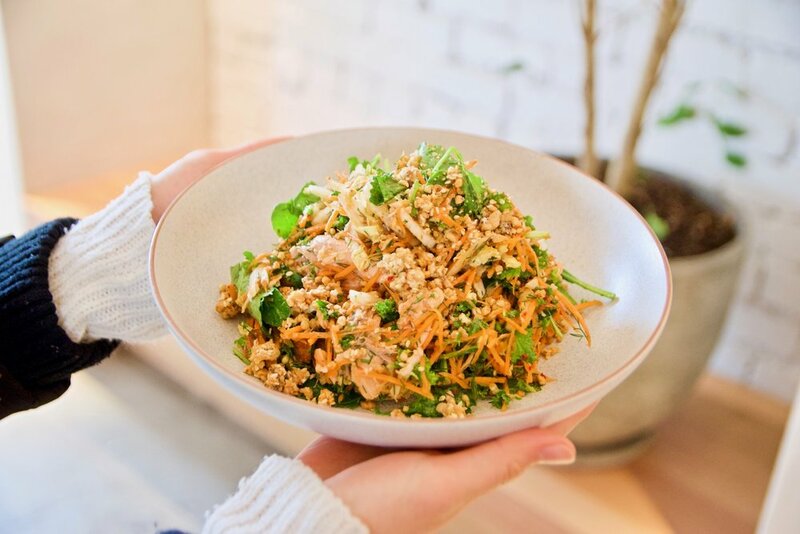 Our top picks include the Shio koji grilled chicken salad which features beautifully tender chicken morsels with farm greens, roasted brussel sprouts, braised fennel, bulgur, parsley and a umami laden shio koji sauce to tie everything together. For something heartier, the baked sweet potato and chilli beans is perfect for wintery nights. We loved the slight chilli kick from the house made chilli baked beans and the crunchy kale slaw and homemade vegan mayonnaise. If you like bold flavours, then the roasted salmon with three flavoured sauce, carrot and wombok slaw, dill and satay buckwheat is the way to go. This Thai inspired dish boasts the customary punchy flavours of South East Asian cuisine and finds the perfect balance between sweet, sour and savoury. For sweet tooths we recommend the vegan chocolate mousse with peanut butter crumble. Just yum!